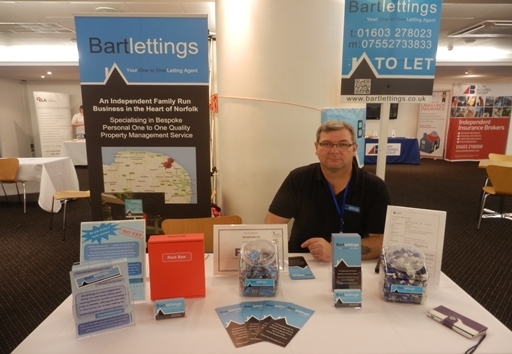 Bartlettings is an independent family run web based Letting Agency covering Norwich and surrounding areas in Norfolk. If you are a Landlord or a Tenant we are able to offer you the One to One Bespoke Property Management Service you’ve been looking for. We do not have big flashy high street window displays and an office full of agents to support. We do not sell houses. We do not offer you the best and then when we have your business let the office boy look after your interests. What we do is give you a low cost one to one Bespoke Property Management Service. We can offer a low cost service as we don’t have the high costs of a city centre office, or a high number of staff to support. We focus purely on Residential Lettings, we put all our energy into looking after your property and interests. We will be there for you from the start, and all the way through the term of your let or tenancy. We are Landlords ourselves, so we understand the needs that you as Landlords or Tenants require. We have very high standards and we are committed to deliver quality services to you, which we would expect ourselves. Landlords Depending on the involvement you want to have in the letting of your property, we can provide you with an individual bespoke letting service. See our Landlord page for more information. Tenants We will be there to make your tenancy run as smoothly as we possibly can and at an affordable price, we are there for you as well as the landlord. See our Tenants page for more information. Room Lets (HMO's) We believe that all HMO accommodation should be of a certain standard, we work with landlords to deliver accommodation that meets and exceeds these standards. 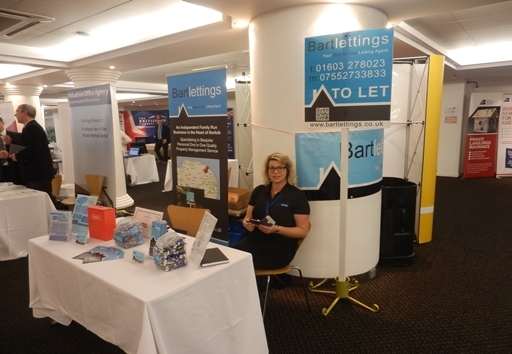 Bartlettings are members of the Eastern Landlord Association (ELF) and the Property Redress Scheme (PRS). We are also associated members of the Residential Landlords Association (RLA) and as such voluntarily subscribe to a strict code of conduct and working practices. We carry professional Indemnity and public liability Insurance and we are members of and the Deposit Protection Service (DPS). So you can feel secure in putting your property with us. Just wanted to offer my thanks for your recent professional services relating to the rental of our flat. I was really impressed with the speed at which you managed to find us two prospective tenants, you organised meetings and we found someone who we get on really well with and who has made a lovely home in the flat. The additional services you provided, (credit check, video and written inventory and references) were carried out to the highest standard and demonstrated a true eye for detail and you were very flexible in your approach enabling us to maintain control over timescales etc. I will certainly be asking you to act for us next time we need a tenant as we have every confidence in the services you so diligently provide. In the meantime, if any prospective landlords would like to speak to us about our experience with Bartlettings, I would be very happy to share our experience. I am writing to let you know how pleased we are with you overall service in letting our two flats in Sprowston. We were paying another agent 12% for managing the property. You have worked wonders in turning the situation around and as a result of your attention to detail, clear no nonsense approach and general good service, we are paying much less in management fees and have a much better tenant relationship. I would have no hesitation in recommending you and just wish we had found you years earlier. From a landlord perspective we have found Gary Bartlett to be very methodical and reliable, his attention to details is second to none. We have formed a very good relationship with Gary and know our property is being fully managed to the high standard we were looking for in a management company. When you complete the privacy notice you must fill in the boxes with the required information. Due to EU legal requirements the privacy notice is a lengthy document. To help you, it can be distributed electronically, e.g. by an email attachment or a link to your website (if you operate one), or by handing over a hard copy if you prefer. This Privacy Notice tells you what information we obtain and hold about you whether you are initially applying to us for a tenancy or if you become a tenant, resident or guarantor, or landlord, it explains what information we collect, why we collect it, and what we do with it, as well as who we share it with. We collect and handle personal information about our tenants, residents and landlords and prospective tenants, residents and landlords along with any guarantors to enable us to provide residential accommodation. This includes dealing with applications for tenancies, checking the suitability of tenants, residents along with any guarantors (including credit, immigration and similar referencing checks), arranging lettings, property management (including dealing with repairs), rent collection, dealing with any complaints, maintaining our accounts and records, tenancy terminations and administering tenancy deposits. You consent.Consent may be requested in certain cases, e.g. to obtain a reference but generally we do not rely on your consent to process your personal data. To perform our contract so that we can carry out our responsibilities under the agreement with you, including anything you request us to do with a view to you becoming a tenant (or resident) (or landlord). Where we are pursuing our own legitimate interests or those of a third party.This will not apply if our interests are overridden by your interests or your fundamental rights and freedoms.We must carry out a balancing exercise therefore to decide whether we can rely on this gateway to ensure that it applies.In each case we have done this and we do not consider your interests, rights or freedoms outweigh our own or those of the third party concerned. Correction/Rectification – if you consider any data we hold about you is inaccurate you can tell us so that where appropriate this can be corrected.Where a mistake is made in data processing then you can ask to have it rectified.Any third parties who have received the data from us should then be told of the rectification and you should be informed by us of any such third parties. You can object to our processing of data – this allows you to object to our processing of data about you.We must then stop processing data unless we can establish legitimate reason for continuing.In particular this applies where we are relying on our own legitimate interests or those of a third party to process data but it can also apply in other situations. Restricting processing – you can ask us to suspend processing of your personal data and we must then restrict processing of data.This includes where you are contesting the accuracy of a statement or the lawfulness of the processing. We also collect and receive data about you from third parties. This may be information given to us by other tenants or residents or neighbours. It can include information from a guarantor where there is a guarantor for your tenancy or from a joint tenant or other residents. Public bodies such as local authorities or the police, or other law enforcement agencies may give us information about you. This can include the Department for Work and Pensions or the local authority where you are receiving Universal Credit or housing benefit. Information may be given to us relevant to Council Tax by the local authority. Utility companies or service providers may also give us personal information about you. Where the property is let or managed on our behalf by an agent the agent will supply us with information about you. We obtain information about you when we carry out credit checks or take up references. We may also receive information from you via websites or from online rental portals such as Openrent, Zoopla or Rightmove. Any information which we receive in this way is set out in the Table to this privacy notice which gives you more details about information which we can receive from third parties. We will monitor, record and retain your calls, emails, text messages, social media messages and other communications. This is in our legitimate interests to maintain an accurate record of these. This may be necessary to manage your tenancy or the property or to deal with your application for a tenancy or to deal with tenants/residents/landlords or prospective tenants/residents/landlords/guarantors. We need these records for our ongoing dealings with you, including our data protection obligations. Your tenancy/landlord agreement provides that in certain situations you must give us information when asked. This is a legal obligation because it is a contractual requirement. You should refer to the relevant clauses in your tenancy/landlord agreement which tell you the situations in which such information must be given. Renting out residential accommodation and managing tenancies and rental properties is a multi faceted. As tenants/residents and landlords are at the centre of this service, we must process your data for a large number of different purposes. Data protection law requires us to give you information about these processing activities as concisely as possible. To do so we have split information about you into different categories, which is in line with requirements in the legislation. We also have to tell you the extent for which your information can be used and shared. Due to the nature of our business information falling into one category will be combined with information in other categories to be handled by us as permitted for the stated purposes under the relevant legal gateway which we have to identify. For example, information about your identity/contact details will be combined with other categories of information to correctly identify you, e.g. when we compile our accounts or pass information about a repair over to a contractor so that they can deal with the problem at the property you rent. However, we only do this to the extent that it is necessary in the circumstances. 2. We handle this information in order to enter into the tenancy agreement and subsequently to manage the tenancy and the property. This is done to perform the contract. 1. This includes details of the tenant’s present residence and their current landlord (if any), current occupation and status, employed, student etc., employer or educational institution, state benefits received, details of other residents, any bankruptcy or county court judgments, next of kin etc., pets and any photographs of yourself. 2. This information is handled to evaluate your suitability as a tenant. This is done for our own legitimate interests. These are to ensure that any let is to reliable tenants and residents with suitable guarantors where applicable. 3. We also handle this information which relates to next of kin etc., to contact them in the event of an emergency. This is to protect your vital interests. 4. This information will also be handled if we need to trace you to contact you in connection with the tenancy or the property or to pursue a claim against you, e.g. for rent arrears. This is in our own legitimate interests. These are to enforce your obligations, deal with property left behind at the property or to recover property. 1. This includes details of your bank, building society or other paying organisation, including those operating digitally/online. 2. We handle this information in order to receive payments from you or on occasion to make payments to you. This is done to perform our contract. 3. We also handle this information if we seek to make recovery from you of unpaid debt. This is in our own legitimate interests. These are to recover what is due to us. 4. We also handle this information as part of our verification of your suitability as a tenant/landlord, including to protect against money laundering. This is in our own legitimate interests to ensure that we let to suitable tenants/residents/landlords and do not receive proceeds of crime. 1. This includes renewals of the tenancy. Information within this category includes the address of the property, start date for the tenancy, period of occupancy, rent and other payments. 2. We handle this information to prepare and complete the tenancy agreement and then to manage the tenancy and the property. This is done to perform our contract. 3. Tenancies are renewed by agreement. This will involve a request from you. We handle information about the renewal of tenancies. This is done for contractual performance. 4. Where you are a joint tenant or there are residents living with you details of any other joint tenant or resident are linked with the tenancy/property. 5. We handle this information to prepare and complete the tenancy agreement and thereafter to manage the tenancy and the property. This is done so that we can form a contract. 6. Where there is a guarantee, e.g. from a parent, we collect information about the identity and contact details of the guarantor, background information about the guarantor and details of property owned. This is then linked to your tenancy and the property. 7. We handle this information to protect our own legitimate interests. This is to provide security for the payment of the rent and to ensure compliance with tenancy obligations. 1. This includes the amount of a deposit, who pays it and in what shares and the steps taken to protect the deposit. 2. We handle this information to deal with the deposit received and to administer the deposit. This includes handling information about persons who contribute towards the deposit who are not a tenant. This is done both for contractual performance and to ensure compliance with legal obligations relating to handling deposits under the Deposit Protection Legislation. This is to secure payment of the rent and compliance with tenancy obligations. 3. We also handle deposits at tenancy termination and this is dealt with under that section. 1. Under immigration legislation we check that each tenant and adult resident in the property has the right to rent. This includes retaining copies of passports, driving licences and other specified documentation. We must retain this for inspection if required by the Home Office. 2. We handle this information in accordance with the requirements of immigration legislation in order to carry out our legal obligations. 3. We also handle this information in order to verify the identity of tenants and residents along with guarantors in order to protect our legitimate interests. These are to ensure that we are dealing with the correct person. This is done in Wales as well as in England for this purpose. 1. This includes records we compile to record receipt of rent and other payments from you and associated documentation relating to such payments. This also includes any documentation where we need to issue reminders for payment, including levying charges for interest or fees for late payment. 2. We keep this information in order to compile correct and up to date records. This is done for contract performance. 1. In the event of non-payment of rent or other payments due, or if there is non-performance of the contract (including allegations against ourselves) then we record this and enter into relevant communications. This includes information and documentation related to any proceedings which may be commenced or brought against us in relation to these matters, including proceedings to recover possession of the property. 2. We handle this information in order to pursue recovery of what is owing to us and to enforce our rights, to defend claims, and to recover possession of the property. This is done in our own legitimate interests. These are to protect our property interests, to enforce our rights and to ensure payment due to us is made, as well as to defend any claims brought against us. 1. This includes condition surveys, inspection reports, reports of repairs required and information about actions taken. This extends to conditions and standards generally at the property including health and safety, e.g. gas safety. 2. We handle this information to ensure that the property and its contents are properly maintained. This is done both for the purposes of contractual performance and, where applicable, to comply with our legal obligations. 1. This includes complaints which we receive or information which we hold relating to alleged breaches by a tenant or resident (which could include a child) including nuisance and anti social behaviour. This includes records and related communications. This includes complaints about these matters made by neighbours or other tenants or residents. 2. We handle this information so as to ensure that tenancy obligations are complied with and that tenants and residents live harmoniously with neighbours. This is to protect our own legitimate interests and the legitimate interests of affected third parties. These legitimate interests are ensuring the tenancy obligations are complied with as well as the prevention and detection of crime and anti-social behaviour. 3. We also handle this information under a legal obligation where there is a selective licensing area in force or where the property is a licensed house in multiple occupation (HMO) or under the licensing scheme operating in Wales. 1. Notification is given to the local authority in relation to tenant/resident/landlords liability for Council Tax. This can include information about the period of occupancy as well as former and subsequent addresses. 2. We handle this information in order to ensure that the liability for Council Tax is dealt with correctly. This is done to protect our own legitimate interests and those of the local authority. These are for the correct billing and collection of Council Tax and to ensure that we do not have to meet Council Tax liability ourselves where this is not appropriate. 3. In the event of the local authority serving a statutory notice we then we must supply this information to comply with our legal obligations. 4. Where appropriate the tenant may be entitled to a reduction in Council Tax (formerly called Council Tax benefit). Information is handled relevant to claims made by tenants. This is in the interests of the local authority administering the scheme to see that benefits are properly calculated and paid. 1. This relates to notification to a water company of the tenants/residents/landlord who are living at the property their periods of occupancy and it can include previous and subsequent addresses. It also relates to communications between ourselves and the water company concerned. 2. In the area covered by Welsh Water this information is handled pursuant to a legal obligation. 3. Outside the Welsh Water area we handle this information to establish liability for water charges in our own legitimate interests and those of the water company concerned. This is to ensure that legal liability for payment of water charges is correctly established and discharged. 1. We arrange and establish liability for payment of gas and electricity consumed at the property and any services which are provided, e.g. Broadband or cable tv. These services may be provided as a requirement under the tenancy agreement. It includes communications about changes of tenants, interruptions and disconnection of supply and work to be carried out in connection with utilities and services such as the installation of smart meters/replacement meters. 2. We handle this information in order to arrange provision of utilities and services and ensure that the correct liability for relevant charges is established and that these are paid for. This is done in our own legitimate interests and those of the utility company/provider concerned. These are to ensure utilities and services are provided and that liabilities are paid. 3. We also handle this information in order to deal with breakdowns, interruptions and disconnections and to ensure that the appropriate quality of service is provided. This is done in our own legitimate interests. These are to ensure that requisite utilities and services are available and are provided at the property. 1. Where eligible a tenant will be entitled to the appropriate welfare benefits to assist them to pay rent. Information may be required by the Department for Work and Pensions (DWP) or local authority to verify entitlement. Normally, payment of benefit is made direct to the tenant; however, if the tenant is vulnerable or there are arrears, payment of benefit can be made direct to us. This extends to Council Tax reductions (the old Council Tax benefit). 2. We handle tenancy details and rent payment records, including information about arrears of rent, and the tenant’s personal circumstances, relevant to the processing of claims and the administration of benefits. This is done for contractual performance. It is also carried out in our own legitimate interests to secure payment of rent due to us. 3. We handle information relevant to applications for benefit and in particular applications for direct payment to ourselves including reasons for non-payment of rent. This is for contractual performance. 4. On occasion where direct payment has been made to us there may be claims by the benefit authority for recovery of overpayments. We handle information relevant to such claims. This is done for our own legitimate interests. These are to ensure that we can collect and retain rent due to us. 1. A tenancy may run out and the tenant leaves. Tenants can leave early while the tenancy is still running on. We may serve notice requiring the tenant to vacate and, if need be, enforce this by court possession proceedings. 2. Tenancy terminations of whatever kind also involve the return of any deposit paid, possible claims against guarantors, claims on rent insurance or property insurance, arrangements for tenants/residents to vacate the property, tenants/resident’s property being left behind. They also give rise to issues around the state and condition in which the property has been left, e.g. cleanliness. 3. We handle information relevant to these matters concerning tenancy termination. This is done in our own legitimate interests. These are to ensure that the property is returned to us in a proper state with vacant possession and that all appropriate financial claims by either party against the other are correctly dealt with. These include our obligations in relation to the refund of deposits, to comply with our contractual obligations between us and the tenancy deposit scheme with whom the deposit is protected. 1. We operate a complaints procedure which may be informal. Although we will do all we can unfortunately sometimes things go wrong so complaints may arise. 2. Information handled concerns complaints which you may make or which may be made on your behalf. These will give rise to communications and records being compiled by us. 3. We handle complaints with a view to resolving these, although this might involve external intervention, e.g. by the courts. 4. We handle complaints for contract performance. This is also done in our own legitimate interests. These are to protect ourselves against claims and to ensure that the complaints are properly resolved. 1. Importantly, this is sensitive personal information to which additional protections apply. We may be given information about your health (whether mental or physical) or disabilities. 2. Health information may be given to us to explain your absence from the property or as a reason why rent has not been paid. You may wish us to have information about your health so that we are aware of how you may need assistance on occasion. This could also be information about health or disabilities affecting someone else which impacts on you. 3. We may be given information about your disabilities so that we can make particular arrangements for you, including any adaptations which may be required to make under disability discrimination legislation. 4. We handle information about your health or disability, and the health of others depending upon the circumstances to assist us in the management of the tenancy and the property. This may be to protect your vital interests. It may alternatively be for contractual performance where it affects your ability to perform your contractual obligations under the tenancy agreement. It will be in our own legitimate interests if we are told of any medical condition which affects you. This is so we are aware of possible impacts on you. 5. In regards to information concerning any disability, we handle this information to assist in the management of the tenancy and the property. This may also be under a legal obligation where we are obliged by law to make provision to deal with your disability. 6. In addition, as this is special category data, additional legal requirements are imposed upon us about your health and/or disability and we may request your consent to handle this information. 1. If we operate cctv you will be given information about this. We may operate cctv to cover common parts or the exterior of the premises. 2. We may also hold audio recordings, e.g. messages from you on telephone answering machine or mobile phone. 3. Where cctv is operated this is for the safety and security of the premises in question and for the prevention and detection of crime and anti social behaviour, as well as monitoring tenancy obligations. This is done in our own legitimate interests. These include the protection of our property and ensuring compliance with tenancy obligations as well as the safety and security of tenants, residents and neighbours. 4. We handle audio recordings to assist with accurate record keeping. This is done for contract performance or in our own legitimate interests. These are to ensure that we have reliable records of communications. 1. Correspondence includes all ways in which we receive communications from whatever source. This includes emails, text messages, social messaging and messages, letters and documentation. This can include photographs and other visual recordings. 2. We handle these communications initially relating to entering into the tenancy agreement and then for the management of the tenancy and the property, as well as associated matters arising under the various categories of information referred to in this Table. This is done for contractual performance where applicable, to carry out any applicable legal obligations imposed on us, to protect your vital interests, or in our legitimate interests. These legitimate interests are to ensure that we have the necessary information relating to these matters and for accurate record keeping. 1. Information about you is available in the public domain, often put there by you. This can be accessed by appropriate searches which allow for access to the websites which hold this information. 2. Information about you is also made available when you access online platforms, e.g. to enquire about properties which are available for renting. 3. We handle this information to assess your suitability for tenancies/residency and for the management of the tenancy and the property. This is in our own legitimate interests to ensure that tenants/residents are suitable and that the tenancy and the property are effectively managed. This can include ensuring that tenancy obligations are performed. These legitimate interests are to ensure that our property interests are protected and our rights are enforced. 4. We handle information received via our online platforms for contract performance, including arranging lettings and entering into tenancy agreements. 1. We/landlords insure the buildings and may insure contents belonging to us/them. We/landlords may also insure against public liability, including liability to yourself for injuries and rental insurance, in the event of rent arrears or other tenancy default. 2. We handle information about you which may be relevant to our insurances to arrange cover, to administer insurance contracts, to renew insurances and to make claims. Contractually we are under certain duties, e.g. to disclose information to the insurers. We handle this information to protect our legitimate interests. These are to ensure that appropriate risks are adequately insured against and to recover any sums due to us under the policy as a result of claims. 3. It is your responsibility to insure your own contents/belongings. You may seek information from us relevant to arranging such insurance or making claims. We handle this information and will do so with your consent which is provided as part of your request for any assistance or information. 1. This applies in particular where the property is a flat. This flat will be held by us/landlord under a lease or subject to other contractual arrangements which will set out various responsibilities for the upkeep, insurance etc., of the block including common areas. The lease or other arrangements place contractual obligations on us which in turn may be passed on to you under the terms of the tenancy. 2. We handle information about you in order to carry out our responsibilities under these leases/arrangements. This is done in our own legitimate interests and in the interests of the freeholder etc., of the block so as to ensure that respective obligations are properly performed. 1. We hold records of car registrations for vehicles which you keep at or in the vicinity of the property. 2. We handle this information to manage the property for contract performance. 3. We also handle this information in our own legitimate interests and those of others such as neighbours in order to monitor and regulate parking. This is to protect our own property interests and rights and those of others such as neighbours who may be affected by parking issues. Freeholders, landlord, flat managing agents etc.